Many saltwater aquarists cultivate certain species of macroalgae either in their main tanks or in refugiums and sumps. Macroalgae is a major food source for a number of both fish and invertebrates in the oceans and many marine aquarists have found that growing their own macroalgae is a great way to feed their tank critters with this inexpensive natural food. Macroalgae is sometimes called the "good kind of algae" as opposed to microalgae, (i.e. Hair Algae). Saltwater aquarists have found that a number of macroalgae species are very useful in their systems, providing food for the herbivores as well as reducing phosphates (PO4) and Nitrates (NO3) levels in their tanks. Some types of macroalgae also make excellent breeding grounds for copepods and amphipods, which are a staple food for certain fish and invertebrates kept in marine aquariums. 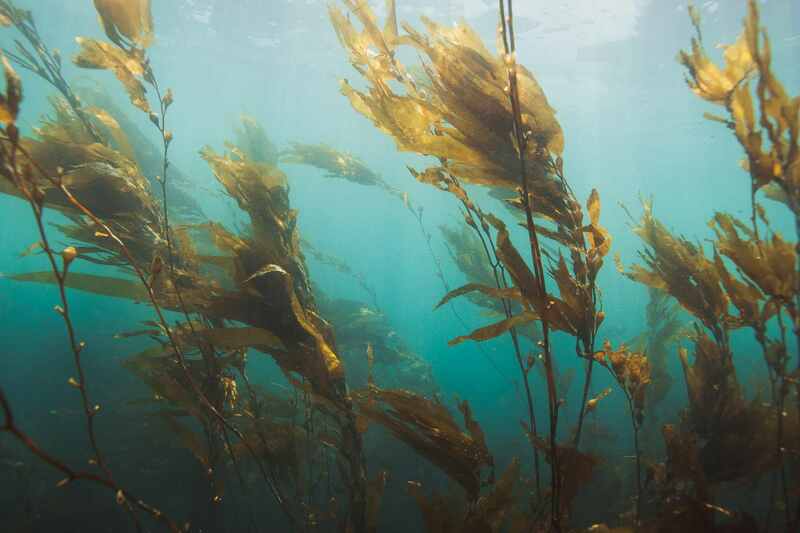 Macroalgae cultivated in marine aquariums serve 3 different purposes: ornamental, nutrient (NO3, PO4) reduction and fish and invertebrate food. Color can vary from a dark pink to deep red. Does best in moderate to strong lighting. Best when grown in a refugium, rather than the main tank. Readily accepted by herbivorous fish. Removes both phosphate and nitrate from the water. Use moderate to high lighting and keep it in an area of high water flow. Remove ammonia, nitrates, and phosphates from system water. Does best in medium light. Under the right conditions, biomass can increase 150% per month. Has short thick blades with prickly margins and spherical gas bladders. Likes strong to medium current. Will benefit from the regular addition of an iron supplement, as well as trace elements. Can go a long way towards helping reduce nitrate and phosphate from the water column. This algae is fast growing and is not palatable to many herbivorous species. Must be pruned regularly to prevent rapid die-off during sexual reproduction which will pollute the tank. Can be found in various shapes, including flat blades, feather blades, notch leaf, and a grape-shaped variety. Do not tolerate high NO3 or PO4. Do not tolerate extensive pruning. Good breeding ground for amphipods and copepods. Contains a toxic substance which deters herbivorous fish from eating it. Must be pruned regularly to prevent rapid die-off during sexual reproduction which will pollute tank). 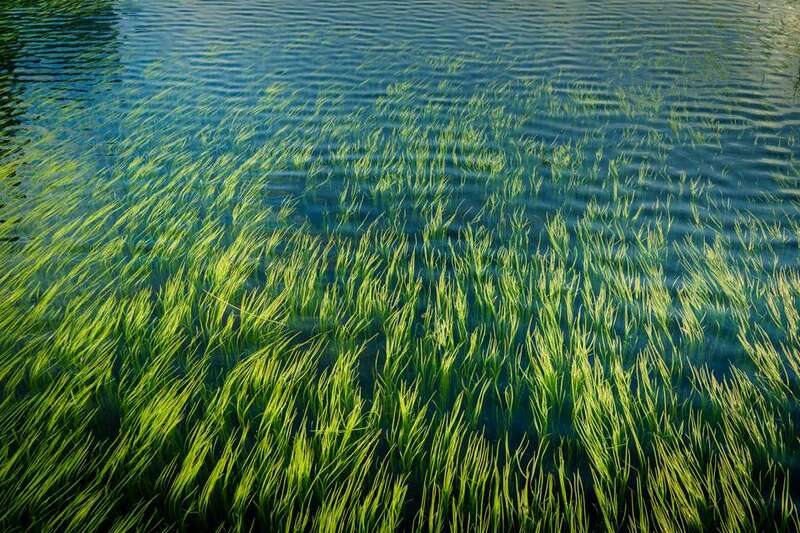 Some algae require phosphates and nitrates to survive. Some algae will not tolerate high nitrates or phosphates. Calcareous macroalgae (i.e. Halameda) require calcium supplements. Some macroalgae (i.e. Shaving Brush Plant) benefit from the regular addition of an iron supplement, as well as trace elements. Without a doubt, your best (and least expensive) way to obtain some amphipods and copepods to seed your refugium with is from a friend's tank or from a friendly LFS. Most copepods and amphipods that show up in a marine aquarium have hitchhiked in on live rock. They are easy to collect from a filter and transport to your tank very well. If you can not find amphipods or copepods locally, here are some which are commercially available.